Good news the cult game for iOS has HTML5 version for Chrome OS. And the better news it could be played from windows OS, but Google Chrome or Firefox 4 browser is requred. I personally tested on Firefox. Of course there is one – it is really addicting. On next shopping list – Nuclear reactor??? 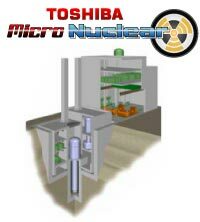 On the net there is a news circulating about “Personal” Nuclear reactor. Knowing price tag for current Nuclear reactors this may not fit in my budget for next year Christmas shopping, but it may be good solution for remote areas or as backup power source for data-centers. Scientifically predicting the weather is something really hard, and you need a lot of information and powerful computers to do it. So how our grandparents were able to predict weather without watching TV forecast. wikiHow published interesting article of how this could be done. College and Finance have a list of most overlooked items to bring when going to College/University campus. It is really interesting list, unfortunately is little bit late for me I hope that t will help you. I personally will add personal printer. Probably you will print most of the content at campus provided printer, but sometimes you need one or 2 pages urgently. In addition if you opt for MFU (multyfunctional unit) you will have scanner/copier too.